Video content has shot to the top of marketing strategies for brands with a global agenda – and the only thing standing between you and international success is the language barrier. Video generates more sales than any other form of content and we don’t want you to lose this power of influence when you take your marketing campaign overseas. If your video campaign is all recorded and ready to roll out for new markets, then you don’t want to go back and start the production process again. Our team can turn your script into more than 150 languages. We provide voice-over translation to make your video accessible to audiences around the world. You don’t have to wait until your video is produced and finalized though. We work with global brands from the early planning process to help them create scripts that lend themselves better to translation and storyboards that are easier to localize for audiences everywhere. Voice-overs aren’t reserved for video content alone and we also create multilingual soundtracks for a range of other media types, including presentations, training material, audio recordings and every format your business needs to get its message across. 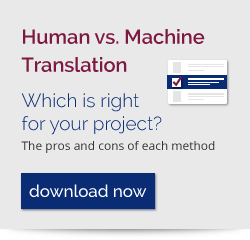 As part of the Dynamic Difference, you get your own project manager who guides you through all your translation needs – including our extensive voice-over and narration process. We source voice-over talent from the top agencies in the industry and choose the best candidates to deliver your message in the perfect pitch and tone of your brand image. We can even supply one of our partner studios and technicians with language expertise who understand the translation barriers you need to overcome. Want to show the world the best of your brand? Get in touch with our team today to find out more about how we can turn your footage into a global message for audiences around the world. If you think your video footage isn’t suitable for voice-over/narration, ask our team about transcription and subtitles instead.